Of French origin, Ugo was born in Catalonia in 1998. He began dancing at the age of six. Within his journey as an artist, he has sought to develop his language of movement through the creative mixture of Hiphop, breakdance and contemporary styles. 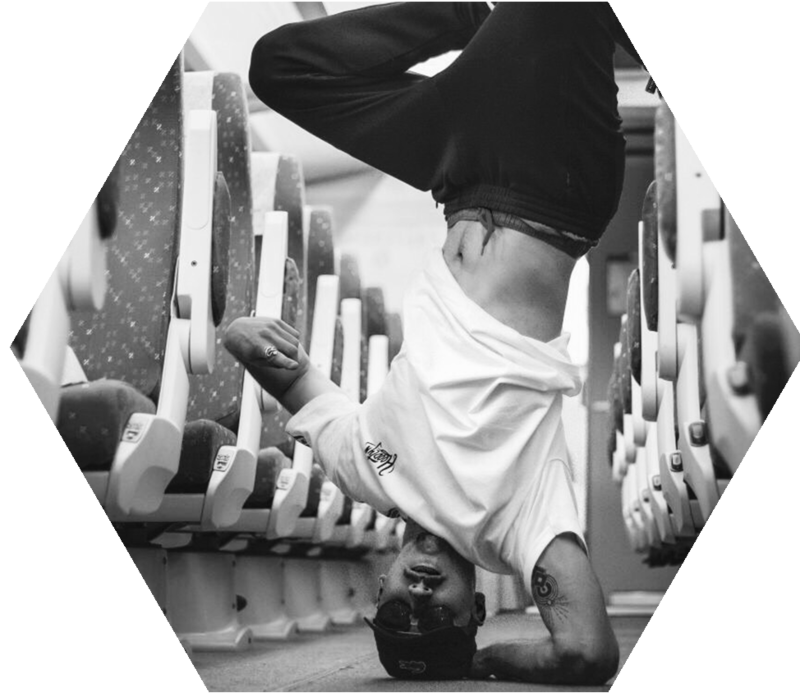 He currently dances with both the urban dance troupe GET BAK and Iron Skulls Co, the latter merging urban dance with contemporary dance. He participates very actively in the freestyle scene as well as organised battles – in Barcelona and other cities such as Paris and Marseilles. With an aim of developing further as a dancer, he has travelled widely in Europe, including Spain, France, Italy, England and Germany, among others. He is currently pursuing a degree in contemporary dance at Varium. He has collaborated with Iron Skulls Co as performer in the piece “Sinestesia”.